Very cute nice stainless steel watch. Enjoy wearing it. Want Mickey, too! 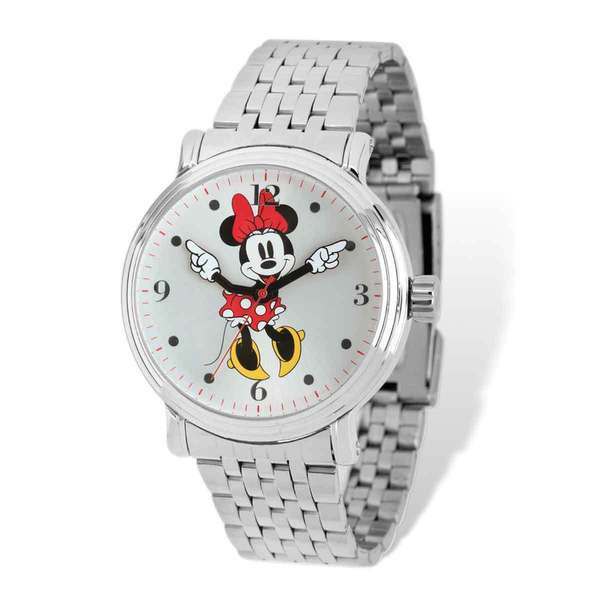 Both lovely and breathtaking, this eye-catching watch from Disney will add a pinch of flair to your apparel. Crafted from stainless steel with a water resistance of 3 ATM, and reliable Japanese quartz movement, this head turning watch will keep you on time and looking great. The classic watch features a adorable Minnie Red Dress design on the dial and secures with a silver-tone strap.